It's officially fall. The ash trees surrounding our house are turning golden, coloring the light that spills in the kitchen windows. The leaves that have fallen are dry and crispy, crunching under the feet of the neighborhood children walking to school. The urge to kick through the drifts of leaves on the parking strip is almost impossible to resist, and I can hear that most autumnal of sounds as the kids (and sometimes their parents) succumb to their siren song. Nighttime temperatures are getting down into the 40s, requiring the addition of thick comforters to the beds, and mornings are brisk, with just enough of a chill to require pulling on a fleece jacket to walk the dogs first thing. The days warm up to the 70s by noon, and a glass of wine on the porch of an evening as the sun sets isn't out of the question just yet, warmth-wise. This is what my parents used to call nigh-perfect Indian summer weather in the Northwest, though I'm beginning to think of it more and more as the onset of braising weather, time to pull out the Dutch oven for the season of low and slow-cooked meats and vegetables. This year's crop of dried beans have begun showing up at the farmers' markets, and I was recently gifted some Rockwell beans from Willowood Farm on Washington's Whidbey Island. 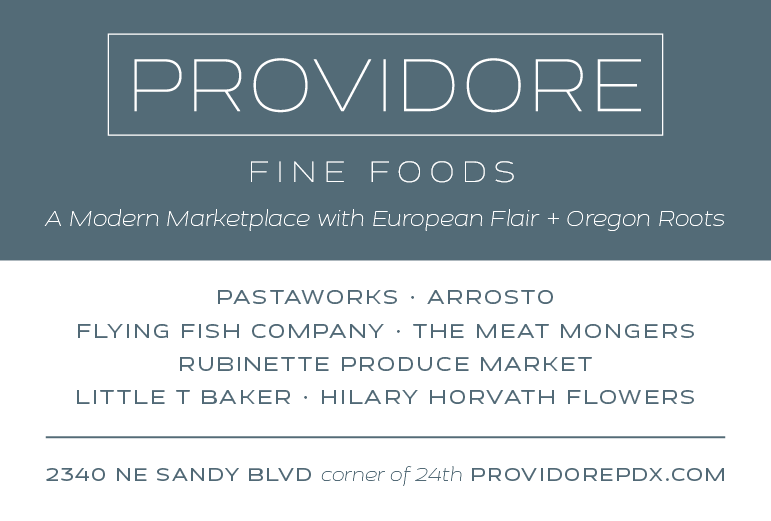 This variety was originally grown by an island pioneer, Elisha Rockwell, in the late 1800s, and it was brought back into production recently by farmer Georgie Smith when she took over the land her family had been farming on Ebey's Prairie since the 1890s. 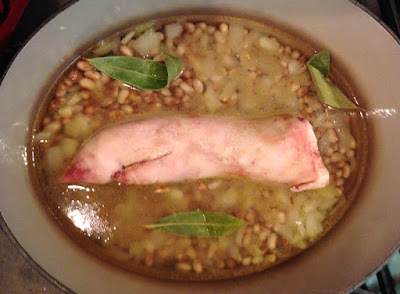 Beans don't need much besides water, onions and garlic to make a mighty tasty main course, served with a hunk of hearty bread and maybe a drizzle of olive oil, but I happened to have a pig trotter (top photo) from the Square Peg Farm pig I'd butchered last winter. Beans and pork are a natural pairing, and the fattier the cut of pig the better. Trotters are almost all fat, and over several hours it gave a porky unctuousness to the pot. A half pound of bacon works well, too, and can be chopped or shredded before or after braising. Even a pound of pork shoulder will do its work on the beans, and can be shredded afterwards to make a beany, porky chili. Regardless of how you decide to cook them, grab a few different kinds of beans from your local farmers' market and take them for a spin in a pot. I guarantee you'll find one (or more) you'll love, not to mention they'll warm up your family's bellies on these crisp fall nights. Depending on the type of bean, you may need to soak them overnight in water (cover by 2"). Check with the farmer or follow directions if they're packaged. Drain prior to cooking. On top of stove over medium heat, add oil to pot and heat until it shimmers. Add onion and sauté until tender, then add garlic, sautéing briefly until it's fragrant but not browned. Add drained beans and cover with fresh water by 1". Add salt and stir briefly. Add bay leaves and pork if using. When it comes to a simmer, cover the pot and put it in the oven for at least four hours or until beans are tender and meat (if used) is falling apart. Check occasionally and add water to cover if the beans have absorbed it all (the amount of water needed will vary with the type of beans and if they have been presoaked). If meat has been used, remove it to a cutting board and chop or shred it, then add it back to the beans. This can also be done on top of the stove. 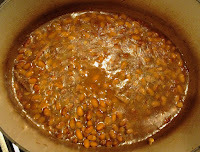 Simply keep the beans on a low simmer, covered, and check occasionally to make sure all the liquid hasn't absorbed. 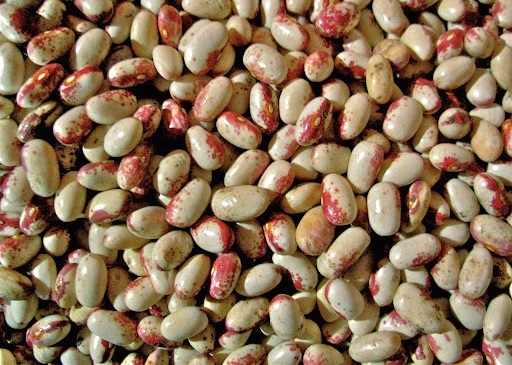 More bean recipes: Baked Beans Italian Style, Backyard Barbecue Beans, Mexican-Style Black Bean and Greens Soup.